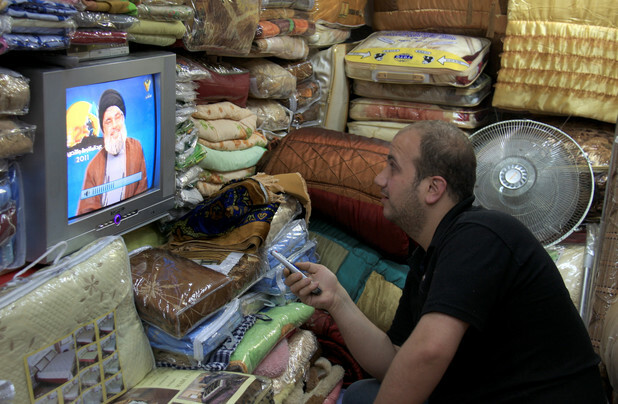 On the 7th anniversary of the end of the July 2006 war, Hezbollah's leader Sayyed Hasan Nasrallah made a televised appearance characterized by numerous significant revelations. In an interview with the Al-Mayadeen channel, Nasrallah disclosed that the recent explosion in south Lebanon which led to the wounding of Israeli soldiers was the work of the resistance. 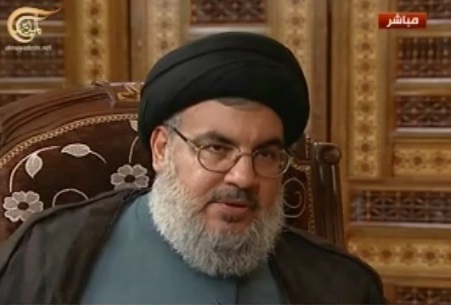 Secretary-General of the Lebanon-based Hezbollah Party, Hasan Nasrallah, stated during a televised interview with the Al-Mayadeen TV, on Wednesday August 14, 2013, that Hezbollah fighters were behind last week’s attack against Israeli soldiers who violated Lebanese sovereignty. He said that the Islamic resistance was behind the operation in Labbouna area, more than a week ago, as Israeli soldiers violated Lebanese sovereignty, and crossed into Lebanese soil. Nasrallah added that his fighters knew in advance that Israeli soldiers of the Golani Brigade will be passing through Labbouna, and planted explosives that were detonated as the soldiers passed through inflicting various injuries. “It wasn’t just by chance, It was not a landmine that the army left in previous wars”, he said, “Our fighters planned it, and successfully carried out their mission”. “Two groups of Israeli soldiers invaded Labbouna, our fighters monitored them and detonated two charges targeting the invading troops”, Nasrallah added, “Our operation was defensive, and the Israeli enemy was surprised; armed clashes also took place between the invading soldiers and our fighters”. 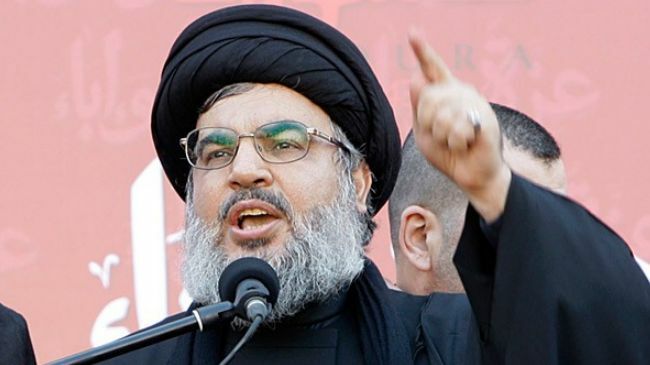 Hezbollah leader also said that his party will not tolerate Israeli violations, and added that the “the feet that invade our land will be severed”. “We will fight them whenever they violate our country, will be not tolerate their offensives and violations”, Nasrallah said, “This is our land, we will never allow them to invade it”. He also slammed the stances of Lebanon’s president, Michael Suleiman, and his government, and said that they “have week positions, instead of firm responses, whenever Israel violates Lebanese territory”. The Hezbollah leader added that the UNIFIL (United Nations Interim Force In Lebanon) shed a blind eye to Israel’s ongoing violations. “The Israeli invasion to Labbouna was not the first”, Nasrallah added, “We recently witnessed various Israeli violations that target the resistance, and the people”. Commenting on the Israeli war on Lebanon in July 2006, Nasrallah stated that his party was ready for an extended war that could have lasted for more than six months. “Israel did not expect us to have all of these capacities and military capabilities, including our advanced wireless communication systems”, he said, “One of the reasons behind Israel’s defeat in this war is their lack of intelligence information, and obtaining wrong information”. “We were capable of shelling Tel Aviv during the war, but we did not do so because we wanted to protect Beirut’, Nasrallah added, “We have missiles that can strike Eilat”. Jumped at opportunity The Conservatives push to get the EU to list Hizballah was given a boost when six Israelis were killed in Bulgaria in July last year. Within hours of the bus bombing, Israel claimed Hizballah was responsible, yet more than a year later it’s still unclear exactly who committed this crime. Certainly, Canadian foreign affairs officials must remember Gerald Bull. This Canadian engineer and designer of the Iraqi “supergun” was, according to CBC journalist Linden MacIntyre, shot dead by Israel’s secret service Mossad outside his residence in Belgium in 1990 (“Murdered by the Mossad?”, CBC The Fifth Estate, 12 February 1991). And what about members of the current Israeli government who support illegal settlers and the killing of dozens of Palestinian civilians? Relishing hypocrisy But apparently none of this “terrorism” bothers Prime Minister Stephen Harper’s government. The Conservatives are either ignorant or relish their hypocrisy. For the Israeli high command (Heseg’s board [PDF] has included a number of generals and a former head of Mossad) “lone soldiers” are of value beyond their military capacities. Foreigners volunteering to fight for Israel are a powerful symbol to reassure Israelis weary of Israel’s behavior. Schwartz and Reisman’s support for Heseg has spurred a campaign to boycott Chapters/Indigo/Coles, which controls 70 percent of Canada’s retail book trade. Yves Engler’ is the author of The Ugly Canadian: Stephen Harper’s Foreign Policy and Canada and Israel: Building Apartheid. Israeli forces have just ended a full-scale combat drill mobilizing troops to an area in the Northern Occupied Palestinian territories. An Israeli mobile artillery cross a road during a military exercise in the occupied Golan Heights. An Israeli commander has admitted that involvement of Lebanon’s Hezbollah in the fight against Takfiris in Syria has increased the defensive capabilities of the resistance movement for any future aggression by the Israeli regime. “Hezbollah’s involvement in the war in Syria has not disrupted its preparedness for a war with Israel - the opposite is true,” said Colonel Yaron Formosa, the Israeli regime’s chief artillery officer, in an interview with Ynetnews on Wednesday. He added that Hezbollah is closely monitoring the Israeli army’s activities along the border. “We saw them marking the positions of our artillery guns so they can target them in a war,” Formosa said. He added that Hezbollah fighters have become proficient in the use of advanced weapons due to the fighting against the militants in Syria. On both occasions, however, Hezbollah fighters defeated the Israeli forces and Tel Aviv was forced to retreat without achieving any of its objectives. In August 2012, Hezbollah Secretary General Seyyed Hassan Nasrallah said that the resistance movement has both the capability and the courage to defend Lebanon and that the movement’s missiles are ready to strike back certain targets inside Israel in self-defense if Tel Aviv launches an attack on Lebanon. “If we are forced to use them to protect our people and our country, we will not hesitate to do so... and that will turn the lives of hundreds of thousands of Zionists into a living hell,” Nasrallah said, adding that Hezbollah has fixed its targets. He also said that a possible future war would be extremely costly for Israel and incomparable with its 2006 war on Lebanon. An analyst has questioned the European Union's neutrality regarding Israel, juxtaposing the EU's blacklisting of the Lebanese anti-Israeli resistance movement Hezbollah with its silence on the repeated Israeli violations of Lebanon’s sovereignty and UN resolutions, Press TV reports. “They [EU] just declared the so-called military wing of Hezbollah, terrorist. But wait a minute! What about these continuous violations from Israel into Lebanon? Are they not terrorist acts?” Beirut-based international lawyer Franklin Lamb told Press TV. “Is it terrorism to defend their country as the national Lebanese resistance does effectively that is through the arm of Hezbollah and it’s not terrorism to invade the sovereignty territory of Lebanon?” Lamb added. Lebanon’s army said on August 7 that four Israeli soldiers, who had crossed the border into Lebanon, were injured in an explosion inside the Lebanese territory near the town of al-Labouneh. The statement said the Israeli soldiers crossed the UN-designated Blue Line on foot and penetrated "roughly 400 meters inside Lebanon." Lebanon's caretaker Foreign Minister Adnan Mansour condemned the incursion as a violation of UN Resolution 1701. He also said that Beirut will file a complaint with the UN Security Council about the recent Israeli incursion. Paolo Serra, the commander of the UN Interim Force in Lebanon (UNIFIL), also said on Friday that "it is clear that the presence of Israeli soldiers in Lebanon in violation of the Blue Line constitutes a serious breach of the terms of UN Security Council resolution 1701." Lamb said the incident was not unprecedented and the Israeli’s have made a “habit” of violating the resolution. Sources with the United States military say Israel is planning an offensive against the Lebanese resistance movement Hezbollah, a political analyst tells Press TV. “We are told by sources with the United States military that Israel is engaged in armed reconnaissance into Lebanon planning an offensive against Hezbollah….This offensive is planning on starting very soon,” a senior editor at Veterans Today, Gordon Duff said in an interview with Press TV on Saturday. The analyst said Israel’s primary objective would be destroying Hezbollah, to pave the way for attacks against Iraq, Syria and Iran. catching Hezbollah from inside southern Syria and from Lebanon simultaneously,” he added. On Wednesday, the Lebanese army said an Israeli patrol had crossed the UN-demarcated Blue Line border near the town of al-Labouneh in southern Lebanon, before being hit by a landmine explosion. A UN peacekeeper deployed in the area said the Israeli army unit, which was made up of 10 soldiers, withdrew after the explosion. Israeli's army has confirmed that four of its soldiers were wounded in the incident. The United Nations strongly protested to Israel for violating the sovereignty of Lebanon after an investigation into the incident. On Friday, Lebanon's caretaker Foreign Minister Adnan Mansour said Beirut would file a complaint with the United Nation about Israel’s violation of UN Resolution 1701. The United Nations has strongly protested to Israel for violating the sovereignty of Lebanon after an investigation showed that Israeli soldiers had crossed the Lebanese border in a recent incident. Paolo Serra, the commander of the UN Interim Force in Lebanon (UNIFIL), told UN spokesperson office on Friday that "it is clear that the presence of Israeli soldiers in Lebanon in violation of the Blue Line constitutes a serious breach of the terms of UN Security Council resolution 1701." The UN mission launched an investigation on Wednesday after the Lebanese army said that an Israeli patrol had crossed the UN-demarcated Blue Line border before a blast occurred. Israeli's army has confirmed that four of its soldiers were wounded in the incident. The UNIFIL says it is working with the Lebanese army to determine on which side of the border the explosion happened. Serra said the UN mission has called on the Israeli regime to fully cooperate with the investigations. The Lebanese government has decided to file a complaint with the Security Council over the Israeli regime’s repeated violations of its border and abduction of a Lebanese citizen. On Friday, Lebanon’s caretaker Foreign Minister Adnan Mansour tasked the country’s Ambassador to the UN Nawaf Salam with lodging the complaint. The Israeli military frequently violates Lebanon's airspace, territorial waters and border. Media outlets affiliated with Hezbollah claim the four IDF soldiers who were injured in an explosion near the border on Wednesday fell into a trap set up by the Lebanese Shiite movement. Defense Minister Moshe Ya'alon said the IDF force inadvertently activated a mine, but according to reports in Lebanon, two explosive devices planted by Hezbollah were activated at the site. "Only the resistance is capable of setting such a trap and building bombs that explode on the Israelis," one newspaper said. Ibrahim al-Amin, editor-in-chief of Al-Akhbar, hinted in his article that Hezbollah was behind the blast that injured the Israeli soldiers. According to him, the first bomb, which was connected to four smaller bombs that were laden with metal balls, went off at 4 am. The second device exploded 20 seconds later, he said. The soldiers sustained light to moderate wounds, mainly from shrapnel and the shockwave from the explosion. The Lebanese Army said that in a "violation of Lebanese sovereignty," an Israeli infantry patrol crossed the UN-designated "blue line" between the two countries and moved 400 meters (437 yards) inside Lebanese territory. "During the infiltration, an explosion occurred which led to a number of (Israeli soldiers) being wounded," the Lebanese military said, adding it was investigating the circumstances of the blast in coordination with UN peacekeepers in southern Lebanon. Commenting on the incident, Prime Minister Benjamin Netanyahu said Israel would "continue to act responsibly" to defend its borders. In the Al-Akhbar article, al-Amin said "someone was expecting the (IDF) force," adding that the "enemy faces a difficult question: How did Hezbollah know about it?" The article in Al-Akhbar does not necessarily present an accurate depiction of Wednesday's incident. Rather, it may be part of Hezbollah's attempt to rehabilitate its status in Lebanon and the Arab world in general following the harsh criticism over its involvement in the Syrian civil war. According to reports, more than 100 Hezbollah terrorists have been killed and hundreds more were wounded in battles against rebels trying to overthrow Syrian President Bashar Assad. Hezbollah's involvement in Syria contributed to the European Union's decision to designate its armed wing as a terror organization. The Shiite movement is trying to show the Arab world that the fight against Israel remains its top priority. "Hezbollah's involvement in the war in Syria has not disrupted its preparedness for a war with Israel – the opposite is true," the chief artillery officer of the IDF's Northern Command said Wednesday. Speaking to Ynet, Colonel Yaron Formosa said Hezbollah gunmen have become proficient in the use of advanced weapons due to the fighting in Syria. "They are continuing to prepare for a war against us, and an isolated incident on the border can lead to deterioration. We are prepared to go to war even tomorrow morning," said the officer. Meanwhile, the IDF is continuing to investigate the explosion early Wednesday near an IDF force, which was reportedly operating some 400 meters (1,300 feet) within Lebanese territory, near Rosh Hanikra. Four IDF soldiers sustained light to moderate wounds in the blast. Colonel Formosa stressed that despite Hezbollah's heavy losses in Syria, the Shiite group's lookouts are constantly monitoring IDF activity along the border. "We saw them marking the positions of our artillery guns so they can target them in a war. As a counter measure we are building embankments to protect the weapons and ammunition." The chief artillery officer said most of the rocket-launching pads the IDF would attack in case a war breaks out have been moved from open areas to villages. "It is difficult to operate in an urban setting. For many Lebanese it will be intolerable. Hezbollah may purposely prevent the civilians from fleeing to the north," he said. "But Hezbollah has tens of thousands of rockets that are aimed at Israel, and we will not be able to operate against them only with artillery fire or the air force. We will need a ground maneuver as well." Colonel (res.) Yaakov Zigdon, who served as chief artillery officer during Operation Accountability, said "Hezbollah will determine when the next war erupts. We fired 23,100 shells a week during Operation Accountability. They made the difference and gave the north two years of calm. We decided to damage villages after the residents left for Beirut due to our warnings, and they returned to destroyed homes. "Israeli civilians from the north to the center may be 'held hostage,' and no government will agree to this," he added. "Every war is measured by the period of calm it provides until the next war breaks out." Lebanese Foreign Minister Adnan Mansour condemned the "Israel's infiltration of Lebanese territory" overnight. "The mine that exploded on the Israeli soldiers exposes once again the Israeli enemy's bad intentions," he said, adding that Lebanon will file a complaint with the UN Security Council over the "blatant violation of Lebanese sovereignty and of UN Resolution 1701." The detonation of an explosive device led to the injury of four IDF soldiers in Lebanon early Wednesday morning, Defense Minister Moshe Ya'alon said during a tour of south Israel, adding that the army was examining the circumstances of the incident. communities in particular and for the residents of Israel in general. Ya'lon said that during the activity, the force's movement activated an explosive device. "We're investigating the incident to determine whether the device was new or old," he said. "Of course, we will draw the necessary lessons, but the activity will continue for the sake of the security of Israel's residents." The Israeli soldiers sustained light to moderate wounds in the pre-dawn blast. Earlier, Hezbollah's Al-Manar TV network released photos from what it claimed was the scene of the explosion at the western part of the Israeli-Lebanese border. 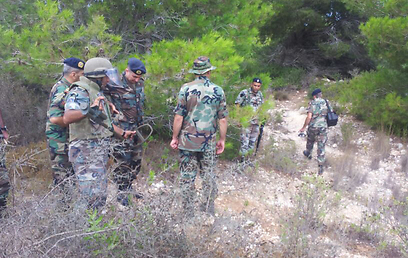 The images allegedly show Lebanese soldiers at the scene of the blast. Blood stains can be seen on the ground. Lebanon's official news agency said a land mine explosion wounded the IDF soldiers. A Lebanese army communiqué said that the "Israeli patrol violated Lebanon's sovereignty." "An infantry patrol of the Israeli army penetrated 400 meters inside Lebanon in the Labbouneh area at 00:24 local time," the statement said. "An explosion took place and the soldiers were wounded, with blood found at the scene. A military committee has opened an investigation in coordination with UNIFIL," the United Nations Interim Force in Lebanon, it said. The border area has largely been calm since the end of the Second Lebanon War seven years ago. The 2006 conflict, that killed about 1,200 Lebanese and 160 Israelis, was triggered when Hezbollah terrorists crossed into Israel and captured two Israeli soldiers. Israeli troops monitor the border with Lebanon near the southern Lebanese village of Kfar Kila. 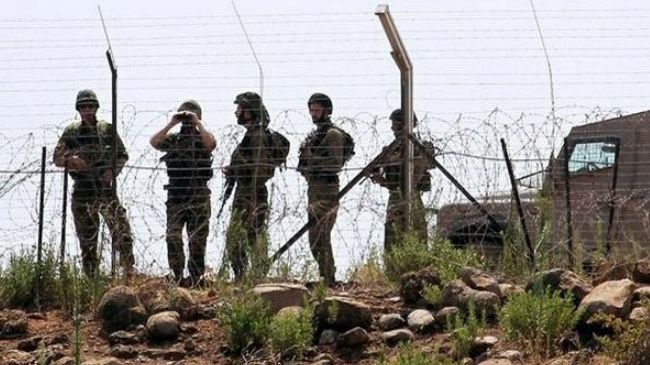 Four Israeli soldiers have been wounded in an unexpected explosion that occurred after they crossed the border into Lebanon, the Lebanese army says. An army statement added that Lebanon has launched an investigation into the incident to find the nature of the pre-dawn blast. Lebanon’s Foreign Minister Adnan Mansour also said that Beirut will file a complaint with the UN over the violation of the country’s sovereignty. The UN Interim Force in Lebanon, known as UNIFIL, also said that it was investigating the reports and a team of peacekeepers has traveled to the site of the blast. 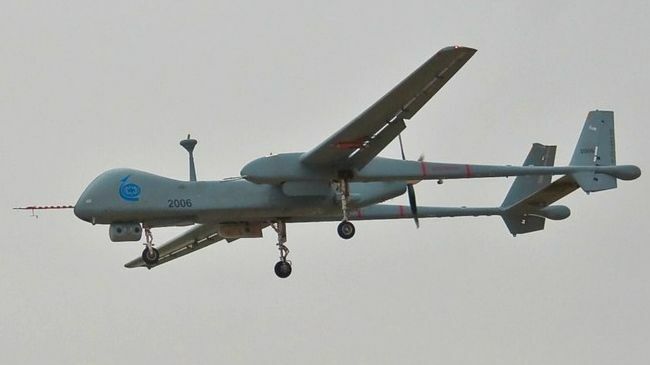 Israeli Minister for Military Affairs Moshe Yaalon also confirmed the incident, but claimed that it happened “in operational activity along the Lebanon border” and not inside the Lebanese soil. Yaalon added that the explosion injured four soldiers, some lightly, others moderately. “During the operational activity, the force came upon an explosive,” he said. The Israeli regime also launched a war on the Lebanese resistance movement Hezbollah in 2006. The conflict killed about 1,200 Lebanese people and 160 Israelis. Four Israeli soldiers, who crossed the border into Lebanon, have been injured in a landmine explosion inside Lebanese territory, Lebanon’s army says. According to a statement by the Lebanese military, the incursion occurred just after 12:00 am local time on Wednesday (21:00 GMT on Tuesday) near the town of al-Labouneh in southern Lebanon. 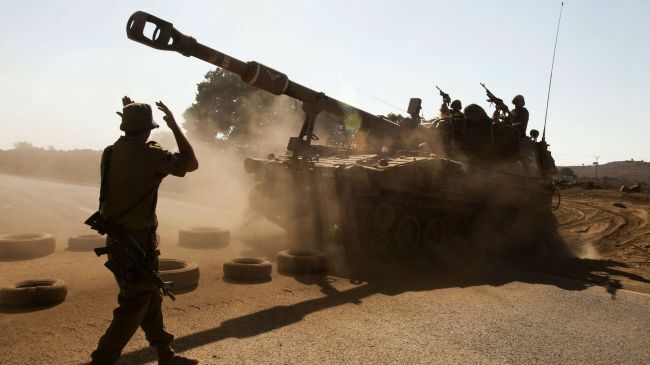 A UN peacekeeper deployed in the area said the Israeli army unit, which was made up of 10 soldiers, withdrew after the explosion and took the wounded soldiers with them, adding that troops on the Israeli side fired flares to light up their exit, AFP reported. The Lebanese army called the incident "a new violation of Lebanese sovereignty." An Israeli military spokesman, however, said the soldiers were involved in "an activity near Lebanon border" without providing details about their exact location or what caused the explosion. The troops were "carrying out nocturnal activities in the Lebanese border area when the explosion occurred," the spokesman said, adding that the wounded had been hospitalized. Lebanon's caretaker Foreign Minister Adnan Mansour has condemned the incursion as a violation of UN Resolution 1701. He also said that Beirut will file a complaint with the UN Security Council about the recent Israeli incursion. Lebanon's state news agency reported that the border incident that wounded four Israeli soldiers occurred when a mine exploded. 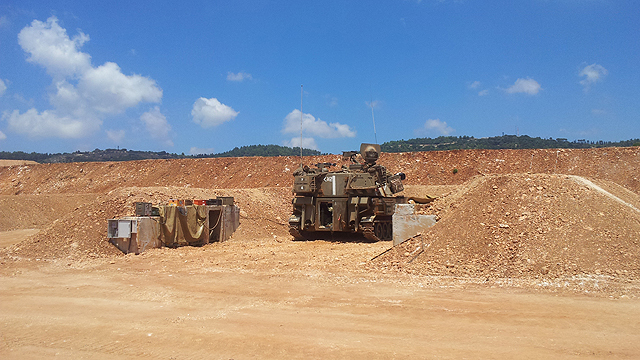 According to the report, IDF soldiers infiltrated into Lebanon, 150 meters deep. Prime Minister Benjamin Netanyahu commented on the Lebanon border blast that injured four soldiers. "IDF soldiers protect us and our borders. This was also the case tonight," he said during a tour of a military compound in the Negev. "We shall continue acting responsibly to secure Israel's borders. I wish the men a swift recovery." A Lebanese security source told local radio that an explosion that injured four Israeli soldiers occurred when an IDF patrol infiltrated 150 meters deep into Lebanon. The IDF is investigating the circumstances behind the incident. Hezbollah's Al Manar network reported that the explosion that occurred along the northern border was within Lebanese territory, about six meters from the border. In addition, a security official said that blood stains were found by a hole in the road near the Lebanese community of Naqoura. Four of the soldiers who were injured in the explosion along the Lebanese border fence were hospitalized in Nahariya. Three were taken into surgery and one is in the ICU. They were injured lightly to moderately. Lebanese media reported that on Tuesday night, two explosions were heard in Naqoura, coming from Israeli territory. According to the reports, after this, shots were heard and illumination bombs were set off by IDF forces along the border. 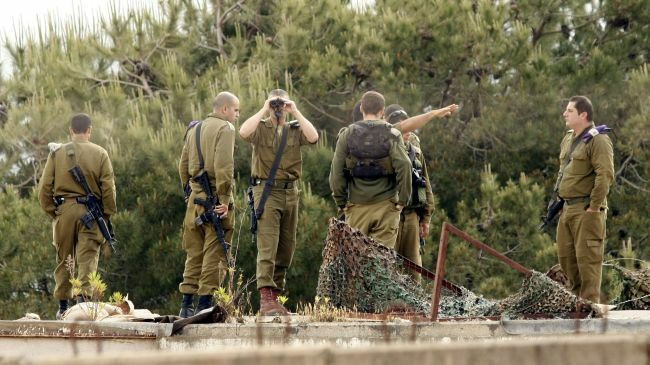 It is unclear if the incident is related to the injury of four IDF soldiers overnight. Four soldiers were injured lightly to moderately following an explosion along the northern border during military operations. The IDF Spokesperson said that the soldiers were taken to the hospital for medical treatment. The incident is under investigation. A Lebanese news channel reports that sources in Hezbollah claim that, according to investigations made by the group, Israel was not involved in the car bombing a month ago in Dahiyeh, a southern suburb of Beirut. Shortly after the event, a blaming finger was pointed at Israel by Hezbollah, while Syrian rebels took responsibility for the bombing. Over 100 heads of Israeli missions worldwide – including ambassadors and consuls – sent a sharp missive Tuesday to Prime Minister Benjamin Netanyahu and Finance Minister Yair Lapid regarding the continuing struggle of Foreign Ministry employees over their work conditions. A political commentator says by blacklisting the military wing of Hezbollah, Europe has given the Israeli regime leeway to freely continue its policy of “genocide and eternal expansion,” Press TV reports. “As regards Europe and Lebanon ... those idiots in Europe listed Hezbollah and therefore have given Israel the chance to attack Hezbollah as a terrorist organization,” the London-based political analyst and commentator Rodney Shakespeare told Press TV. “Europe has sold out to the Zionists and has given the opportunity to Israel to attack Hezbollah. And Hezbollah is the one group which has actually fought al-Qaeda,” Shakespeare added. Last Monday, the EU added Hezbollah's military wing to the bloc's list of "terrorist organizations." The decision was made after hours of discussions by the bloc’s 28 foreign ministers at its monthly meeting, following intense diplomatic pressure by Washington and Tel Aviv. Hezbollah rejected EU’s decision in a Tuesday statement, saying the union was bowing to pressure from the US and the Israeli regime. Referring to the planned resumption of US-backed talks between the Palestinian Authority (PA) and Israel, Shakespeare said the negotiations were only aimed at buying Tel Aviv time to build more settlements. “The truth is that Zionist Israel is an expanding entity and therefore it cannot say where any border will be until it gets to its ultimate aim, which is to be in Syria, right the way through Lebanon, down to the Nile and across the River Euphrates,” he added. The Palestinian-Israeli talks were halted in September 2010 over disagreements on Israeli settlement construction in the occupied West Bank. On July 25, Israeli Energy and Water Minister Silvan Shalom said the talks may resume in Washington next week. Most Palestinian factions have condemned the decision by acting Palestinian Authority Chief Mahmoud Abbas to restart talks with the Israeli regime. The Lebanese resistance movement Hezbollah has denounced as “an insult,” the European Union’s recent decision to blacklist the group’s military wing as a terrorist organization. “Hezbollah considers this decision to be an insult because it equates resistance with terrorism,” said Ammar Moussawi, Hezbollah’s head of international relations, in a Thursday meeting with EU Ambassador to Lebanon Angelina Eichhorst. The blacklisting would mean imposing visa bans on individuals and asset freezes on organizations associated with the group. 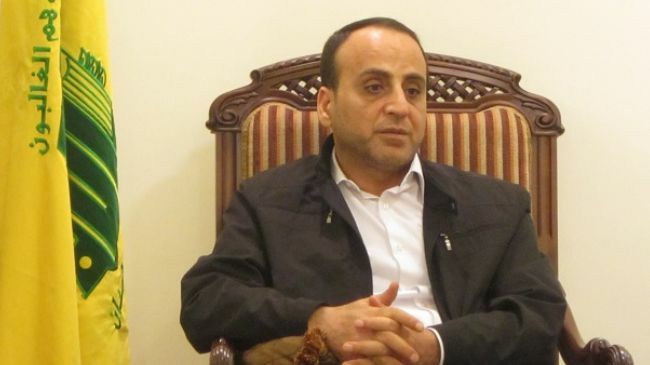 Moussawi also warned the EU against the consequences of the move, saying the decision will not have any impact on the resistance movement’s policies. A number of European governments accuse Hezbollah of being behind last year's bomb attack in the Black Sea resort of Burgas in Bulgaria, which killed five Israeli tourists and one Bulgarian. Hezbollah has rejected the allegation. Several EU nations have also pointed to the movement’s fighting against foreign-backed Takfiri groups in Syria as the main reason behind the decision. Lebanese President Michel Sleiman has expressed hope that the European bloc could reconsider its decision. Lebanon’s caretaker Prime Minister Najib Mikati has also said he regrets the move and will follow up on the issue through diplomatic channels. The secretary general of the Lebanese resistance movement Hezbollah has condemned the European Union’s decision to declare the group's armed wing a “terrorist” organization. "Europe bowed down, and it was not convinced... There were 28 states -- some of which view themselves as being among the world's most important -- that bowed down to an American and Israeli decision," the Hezbollah leader added. Nasrallah said the bloc’s decision only serves Israeli interests and makes the EU an accomplice in any future Israeli aggression against Lebanon. “These (European) states have made themselves fully responsible for any Israeli attack on Lebanon or Lebanon's resistance (Hezbollah) or any target of the resistance," he pointed out. "These states need to know... that they are giving legal cover to Israel for any attack on Lebanon, because Israel can now claim to be fighting terrorism and to be bombing terrorist targets," he added. The Hezbollah leader said that if the bloc had any justification for the move it would have blacklisted Hezbollah much sooner. Nasrallah went on to say that such decisions would not affect the morale of the resistance fighters. "This decision does not affect our willingness. Its objective is to make us bow, to force us to step back and to be afraid,” he said. "But I tell you (Europeans): all you will get is failure and disappointment," he noted. On Monday, the European Union's 28 foreign ministers unanimously agreed to put Hezbollah’s military wing on the union’s blacklist following hours of discussions. The move came after prolonged diplomatic pressure from Washington and Tel Aviv. Following the EU’s decision, Lebanese President Michel Sleiman said he hoped that the bloc would reconsider its decision. "We hope the EU reconsiders its decision out of its keenness not to take hasty decisions, to preserve Lebanon's stability," he told EU ambassador to Lebanon Angelina Eichhorst later in the day. The US and Israel both welcomed the decision, with US Secretary of State John Kerry calling on other countries to follow in the EU’s footsteps. A political commentator has condemned the recent EU decision to blacklist the Lebanese resistance movement Hezbollah, saying the Israeli military is just a dangerous terrorist outfit. In an exclusive interview with Press TV on Wednesday, Jennifer Loewenstein, the Associate Director of the Middle East Studies Program at the University of Wisconsin-Madison, said influential Israeli lobby groups in Europe pressured the EU to adopt the anti-Hezbollah move. “It is political expediency…. I think that Israel has had a strike against it by the EU’s recent vote and … Netanyahu’s pressuring EU members to vote that the military wing of Hezbollah be considered terrorist is primarily political,” she commented. Loewenstein also strongly rejected allegations that Israeli armed forces have caused the least collateral damage in their operations, saying it was “one of the biggest pieces of propaganda and one of the worst lies” she has ever heard. She pointed to the loss of more than a thousand civilian lives during the three-week Israeli land, sea and air offensive on the besieged Gaza Strip at the turn of 2009 as a clear proof of Israeli army’s brutality. More than 1,400 Palestinians were killed during the Israeli aggression on Gaza during the winter of 2008-2009. 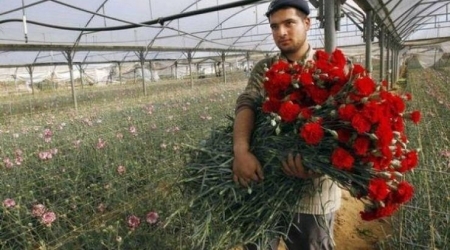 The offensive also inflicted USD 1.6 billion damage on the Gazan economy. Loewenstein further noted that she has been to the Gaza Strip on a number of occasions, and that she has witnessed Israeli troops shooting Palestinian children. She added that in one example she heard an Israeli fighter jet flying over one of the most crowded neighborhoods of Gaza, dropping a bomb on an apartment building, killing 15 civilians in the summer of 2002. The European Union should have imposed embargoes against the Israeli army over its criminal acts in the occupied Palestinian territories instead of blacklisting Lebanon’s Hezbollah, a political analyst tells Press TV. “If they (the EU) were serious, they would put sanctions on Israeli military. That would show that they were serious, not this half measure,” said Randy Short in a Tuesday interview. On July 22, under pressure from the US and Israel, EU foreign ministers unanimously decided to place Hezbollah’s military wing on the bloc’s blacklist. Hezbollah rejected the EU decision in a Tuesday statement, stating that the bloc was bowing to pressure from the US and the Israeli regime.